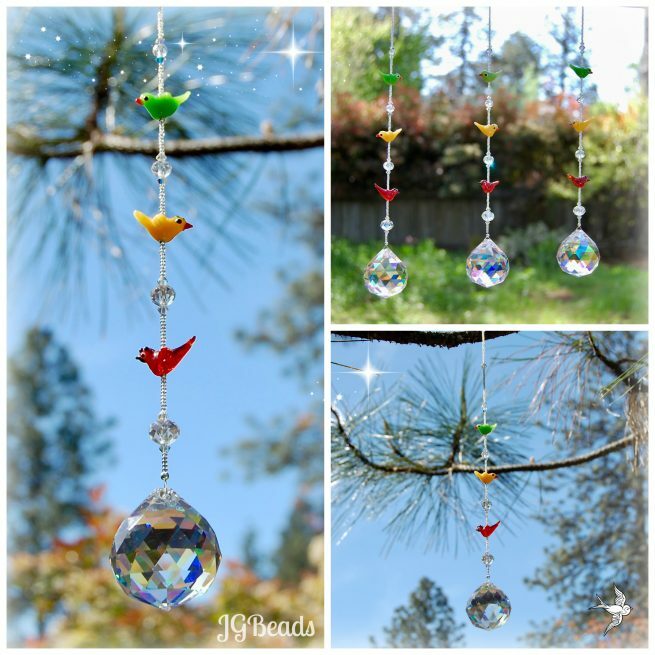 Three Little Birds Suncatcher is uniquely designed and inspired by the legendary Bob Marley. If you know the song, you might be singing it in your head by now, and if not, please take a listen! 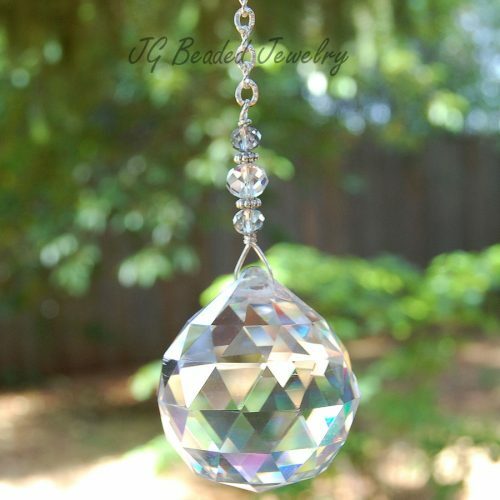 This unique suncatcher is extremely limited and designed with a beautiful 40mm prism crystal ball that has a partial aurora borealis finish which will enhance the rainbow effect when in direct sunlight! The green, yellow and red bird are each unique and handcrafted lampwork glass beads and absolutely adorable! 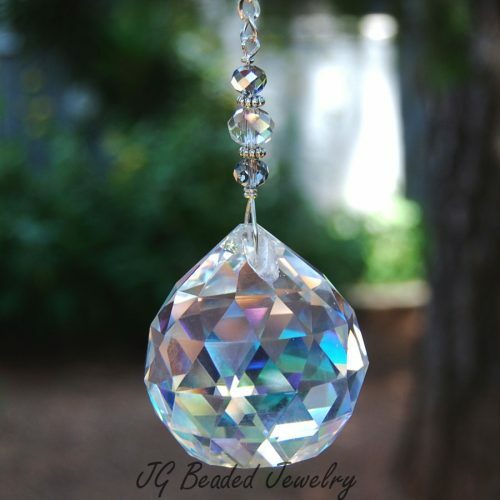 The iridescent faceted crystal beads, Swarovski crystal beads and seed beads add a little extra sparkle to this suncatcher. This design is exclusive and designed to hang in a window. The full length is approximately 15.5 inches and has a loop at the top for simple hanging from a hook or a curtain rod can slide through it as well! Don’t worry, about a thing ~ every little thing is gonna be alright! 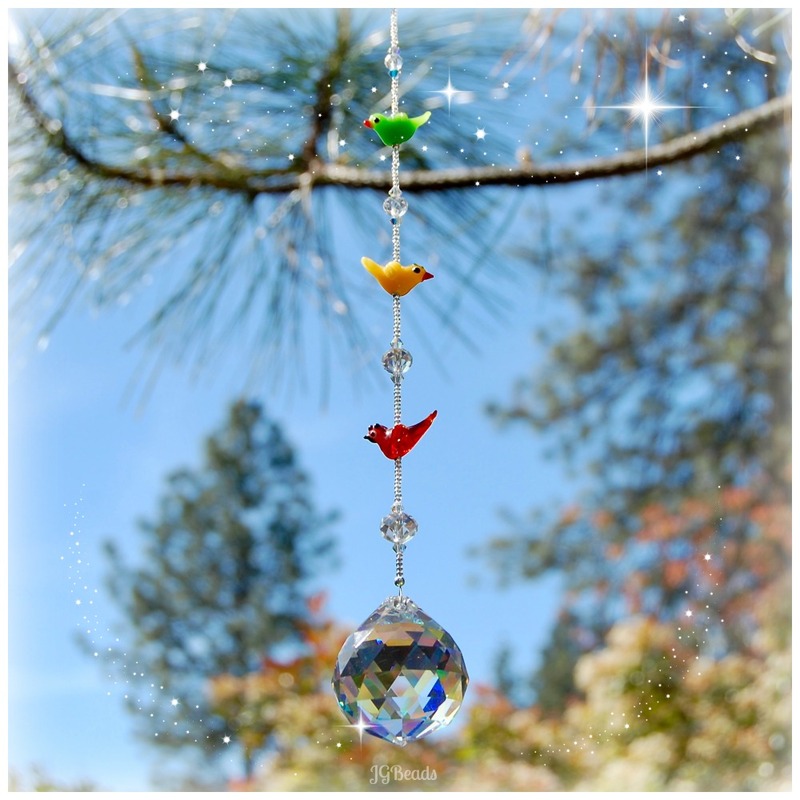 Find many more Rearview Mirror Decorations and Crystal Suncatchers!